If you are reading this, I’m so thrilled you’re here with me for a brand new year! 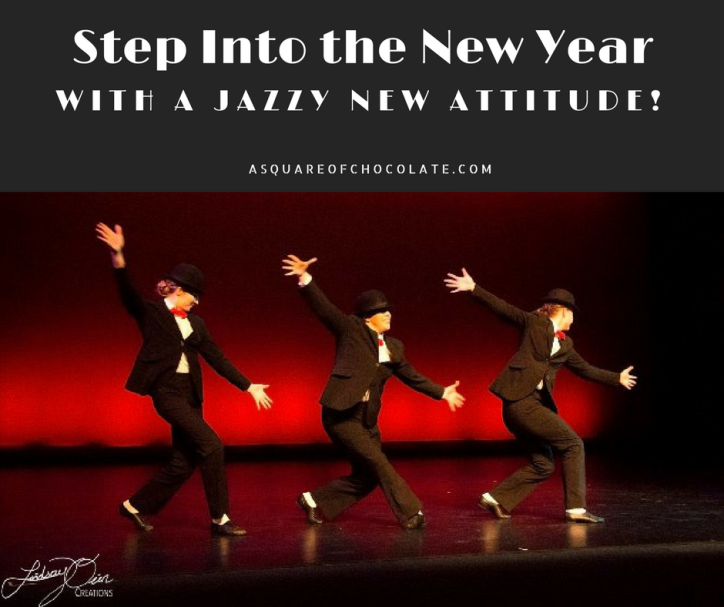 I’m looking forward to having you with me for all the high kicks, low kicks and the in-between kicks that 2018 will bring. Let's shake those jazz hands and make 2018 a real kick in the pants! Can’t imagine what new stories, ideas or accomplishments will be created this next year, but I'm excited for the challenge. When I look back on 2017…it’s been an interesting and incredible writing year for me. And, Christmas sweaters cap off the year with the spirit of some ugly fun – Are You Embracing the Ugly Christmas Sweater Phenom? I’m delighted I could share laughter, inspiration and ideas with all the people that choose to stop by A Square Of Chocolate to read them. This little writing spot has brought me some fantastic connections and experiences. Additionally, personal growth and insight has filled me with encouragement and gratefulness. Here’s wishing you a Happy New Year and hoping it brings you joy and laughter all year long. If you’re having a bad day, just remember…when in doubt bring the chocolate out and you can always unwrap a smile here. and Happy New Year to you!! what a great review of your very interesting year. looking forward to 2018!! Thank you Laura! I'm so glad you're here to jazz things up! Happy New Year Laurie! I’m looking forward to reading more of your stories in the new year and another Ladies weekend! Best to you and your family in 2018.